I would love to go to Holland and meet Fauve. She is such a cool girl! And she just turned 22 on Friday. Happy belated Birthday! 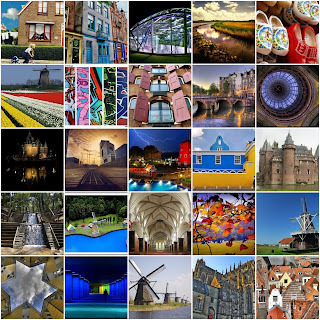 So here are some of my favorite flickr photos taken in the Netherlands. Gorgeous Flickr set! When do you actually leave on your Europe trip? Bet you're getting so excited. Hope you're having a great week, girl! I was in your esty store - beautiful stuff!!! Did you take those photos yourself?!?! Girl, if you can, go!!!!! Holland is a beautiful country, and if you can visit a friend, it sure is worth the while!!! Fab set sweetie, I too would love a visit to see Miss Fauve! Sorry you had to modify your mosaic due to that loser.